Quality Analyst Jobs in Digivive Services | 23rd to 27th March 2017 | Hiring 0 – 2 Years Experience. 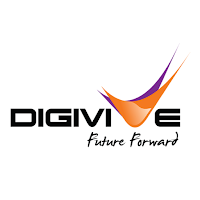 Digivive Services Job openings for BE, B.Tech students as Quality Assurance, Quality Control Executive. Candidates who had completed their Graduation in BE, B.Tech stream can grab this golden opportunity on or before the last date. It is highly Appreciable if candidates check Official notification before applying for the Vacancy/Paying the Application Fee. Preparing According to the Digivive Services Placement Papers will make sure that Applicant is well prepared to face the Competition. As we all know comparing to the previous years this year competition for Jobs had increased immensely. So there will be tough competition for this Recruitment. Candidates are advised to check MNC Online Test Pattern so they can prepare confidently and can easily crack the Recruitment of Digivive Services Recruitment 2017. Constantly monitor and report on the progress of the project to the respective client. Maintenance of project documentation plans and reports. Creating manual test cases on the basis of the requirements delivered from business analyst, validating the same with manual testers, Responsible for working in QA team as only QA tester responsible for creation, modification, and execution of regression test cases. Good Experience in testing Android, Web, iPhone, Client Server applications. Interested candidates can attend for Digivive Services Recruitment 2017 from 23rd March to 27th March 2017 to the mentioned venue along with all required documents and filled applications. We also request candidates to check the Official website before applying/attending the Recruitment. We hope the information provided on Digivive Services Recruitment is helpful for your job search. If this job doesn’t suit you then you can look for more Freshers Jobs in our Website. Keep visiting All India Jobs for regular Job Updates, off campus drives, walkin interviews, referral and many more.